A new world of beauty and convenience. 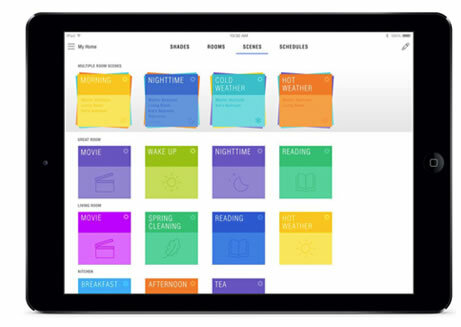 Using the intuitive PowerView App on your smartphone or tablet, you can program PowerView to move your window treatments to the exact position you want and then control and schedule them. The PowerView system can also be operated via two different types of Pebble controls—a Pebble Remote Control or a Pebble Scene Controller. 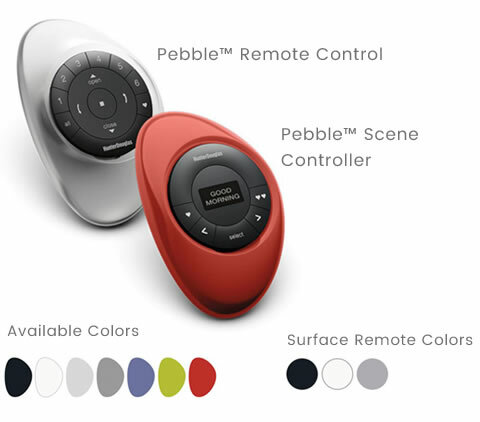 Ergonomically designed and beautiful to look at, the PowerView Pebble is available in seven stylish colors to enhance any décor. You can also wall mount a PowerView Remote or Scene Controller using the PowerView Surface, available in three on-trend colors.